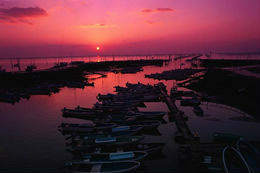 Wind down with some fresh seafood in this coastal fishing village on the Ariake Sea. 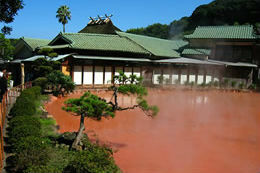 One of the most popular hot spring areas, where you can enjoy many types of baths. 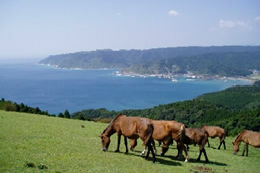 In the hills of this area, 225 meters above the sea, wild horses run freely and graze. 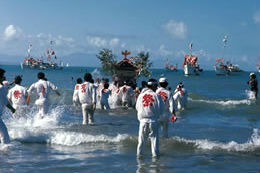 Miyazaki is known for it’s tropical climate and long, Eastern-facing coastline. Mt. 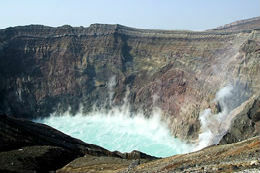 Naka is the centerpiece of this highly volcanic region called the Aso National Park. 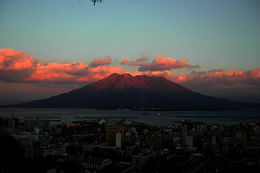 Overlooking Kagoshima City, Sakurajima is one of the world's most active volcanoes. 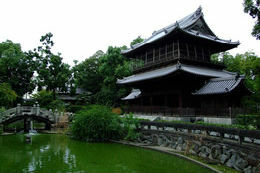 This is considered to be Japan's oldest Zen temple and belongs to a school of Buddhism. 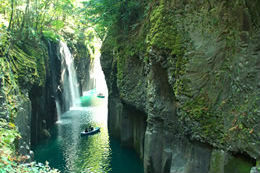 Waterfalls cascade from the cliffs within this gorge in Miyazaki.